Many people took notice of the one-year deal that center Kevin Hayes signed this offseason as neither he nor the New York Rangers were able to agree upon a long-term contract. The 26-year-old scored a career-high 25 goals last season after posting 17 goals twice previously. With unrestricted free agency in front of him next offseason, many people wondered whether the rebuilding Rangers might opt to trade the center rather than risk losing him next season. Hayes told MSG reporter John Giannone that he spoke to management and doesn’t feel worried about a trade. The New York Rangers might have to worry about another center as Mika Zibanejad left practice early Sunday, according to The Athletic’s Rick Carpiniello, after taking a hit to the head in a one-on-one drill from rookie defenseman Joey Keane. The bigger concern is Zibanejad’s history of concussions, including one last season. According to the New York Post’s Bree Cyrgalis, head coach David Quinn said Zibanejad is “fine,” and he just had the wind knocked out of him and might be eligible to play Monday night in Newark. New York Islander fans were surprised when prospect Joshua Ho-Sang, who has said he’s turning the page on his past mistakes, missed training camp Saturday with what coach Barry Trotz said was a “personal day.” The Athletic’s Arthur Staple writes (subscription required) that neither Trotz or Ho-Sang elaborated on why he missed a key day of camp, Trotz’s first significant teaching day. “I don’t have any level of concern,” said Trotz. The Columbus Blue Jackets have five defenseman guaranteed to be making their roster, but with the losses of Ian Cole and Jack Johnson this offseason, the team needs to find their sixth defenseman. The Athletic’s Aaron Portzline (subscription required) suggests that player might be Gabriel Carlsson, who has been highly touted since being taken in the first-round in 2015. However, back issues hampered him throughout his first full season in North America. Now after an offseason of conditioning on his back, the 6-foot-5 Carlsson may be ready to make the leap to Columbus. The Athletic’s Corey Masisak reports that New Jersey Devils forward Blake Speers broke his nose yesterday when he took an elbow to the face yesterday. He is back at it again today, however, with a face shield. The 21-year-old scored 12 goals with the AHL’s Binghamton Devils and is looking to crack New Jersey’s lineup this year. For a successful team that made it into the playoffs and gave the Nashville Predators a run for their money, it’s a bit surprising that the team got quite a bit of contributions from entry-level players, with Rantanen probably at the top of the list of contributors. After a 20-goal season in his first full season on the team, the 21-year-old took that next step and benefitted from playing with Nathan MacKinnon on the first line, breaking out with a 29-goal, 84-point season. With the top line expected to return this season, don’t be surprised if the winger puts up another big season right before he becomes a restricted free agent and could get rewarded with a long-term contract. 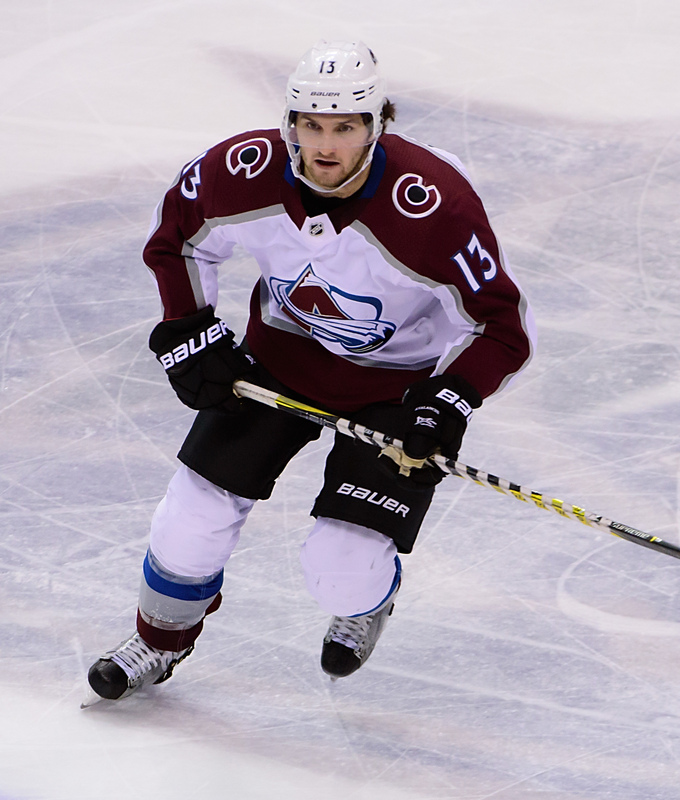 The team expects similar success from Kerfoot, who arrived in Colorado as a four-year college free agent from Harvard University. The 24-year-old posted a 19-goal, 43-point rookie campaign last year as a member of the team’s third line and now is expected to move up a notch and battle Jost for the second-line center position, with the loser moving to right wing on the same line. Jost, scored 12 goals last season in his rookie season, but the 2016 first-rounder is expected to break out if he can earn a spot on that second line as well. Both are likely to have promising seasons. The 23-year-old Compher is another young talent who will be given every chance to fight for a spot as the left wing on the second line. In his first full season, Compher posted 13 goals and could be in line for a bigger season next year. The team also has high expectations for Girard on the defense. One of the key pieces of the Matt Duchene trade, the then 19-year-old defenseman was able to stay in the NHL, averaging 17:39 ATOI once he was traded from Nashville and posted 20 points in his rookie season and should be able to improve on that as he will likely assume a top-four role already next season. One interesting prospect is Kamenev, who also came over with Girard in the Duchene deal, but the 22-year-old center was injured one game into his Colorado career, and he missed most of the season. Now healthy, Kamenev has a good chance to earn a role on the team’s third line in hopes of putting up good numbers next year. Toninato may also be an interesting addition as he has a chance to pick up the fourth-line center spot after signing last season out of the University of Minnesota-Duluth. With cap room at a premium, general manager Joe Sakic had the opportunity to use that to his advantage as he was able to acquire the bloated contract of Brooks Orpik from Washington to acquire their future goaltender in Grubauer, who has posted two straight seasons of .923 save percentages or higher. The Capitals’ backup goalie looks ready for a chance to take a starting role and while he might split time with Varlamov early on, the team’s hopes is that Grubauer steals the job away from him. Varlamov and his $5.9MM contract is set to expire next year, meaning the Avalanche are likely going to allow him to walk. The team has a pair of defensive players in Zadorov and Nemeth, who will be fighting for contract extensions next season. Zadorov has been a key defensive player for the team, posting 278 hits as well as blocking 106 shots. He even posted a career high in both goals (7) and points (20). Nemeth came over to Colorado from Dallas and immediately jumped into the rotation and led the team with a plus-27 rating and was crucial to the team’s penalty kill and likely will take a third-pairing role once again. Wilson could be pushed down to the team’s third line or provide a veteran presence on the second line depending if one of the youngsters fails to impress in camp. However, the 28-year-old is coming off of one of his worst-ever seasons as he posted just six goals and 18 points last season. Andrighetto will be another youngster who should get some time in the team’s bottom-six. The 27-year-old took that next step for the Avalanche, putting up career numbers in both goals and points as he posted 14 goals and 57 points last season as he’s proven to be a No. 1 defenseman that the franchise really needs. The team must find a way to lock him up to an extension in July next year. Soderberg doesn’t post big offensive numbers, but is viewed as a critical shutdown defender, who the Avalanche put up against other teams’ top players. The 32-year-old did put up 16 goals and 37 points last year, but his main responsibility is to center the team’s third line. Nieto will likely end up there with him, who also produced at a career-high as he posted a 15-goal season last year. 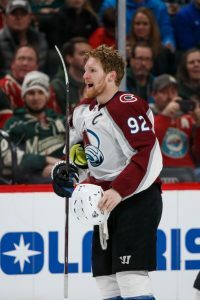 Landeskog has become an integral part of the Avalance’s top line as he posted numbers that are comparable to his best seasons of his career as he posted 25 goals and 62 points. The 25-year-old has added excellent balance to that top line since the team moved on from Duchene. The second-overall pick in 2011 might be able to start meeting the high expectations of his draft status if the chemistry between Rantanen and MacKinnon continue. Cole, Grubauer and Calvert were all recent additions this offseason with Grubauer having already been discussed. However, the team hopes to get some solid value out of both Cole and Calvert at their respective positions. Cole should provide veteran depth to developing defense and if he plays well enough could beat out Girard or Zadorov for a top-four spot, but is more likely to settle into a third-line pairing. Calvert should be able to provide third or fourth-line depth since his lack of offensive skills would likely prevent him from earning a second-line role. The amazing thing is that Colorado only has two players locked up long-term and considering that MacKinnon was one of the top vote-getters for the Hart Trophy last season after the 23-year-old posted 39 goals and 97 points, the team has a steal of a deal with him. With the rising salaries of star players, the fact that Colorado has MacKinnon locked up for five more years at just $6.3MM only makes their situation better and should allow the team to add even more talent over the next couple of years. The team also has five more years of Johnson at $6MM, which isn’t as good. While Johnson is a solid defensive defenseman, the 30-year-old is injury-prone and hasn’t been able to play 80 games just once in his 10 NHL seasons. He managed nine goals and 25 points in 62 games last season and still remains the team’s second-best defenseman. The Avalanche is a young team that just a year ago many considered to be one of the worst in the NHL. Thanks to the superb play of many of their young players, the team should be in good hands. Colorado has plenty of cap space to handle long-term deals that will need to be given to their many youngsters with Rantanen the most likely to be handed a long-term extension and the team may even have the ability to go after a big-name free agent in a year or two if they continue to improve and show they are the most intriguing team in the Central Division. Considering Zach Werenski played with an injured shoulder for almost the entire 2017-18 season, imagine how good he could be if he is at 100% for all of the upcoming campaign. That is the goal for the young Blue Jackets blue liner, who recently sat down with Columbus beat writer Brian Hedger. Werenski continues to recover from off-season surgery, but says that his goal is to “be there for Game 1”. Werenski suffered the injury of note all the way back on October 30th, 2017. The sophomore defenseman nevertheless played in 77 games and recorded 37 points, even though he played with a brace for much of the year. Werenski then underwent corrective surgery in early May and had his left arm immobilized for much of the summer. However, the 2015 eighth overall pick is already ahead of schedule in his rehab and training. Columbus GM Jarmo Kekalainen shared a recovery timeline back in June that assumed Werenski would miss most of training camp, but the young defender tells Hedger that he hopes to back toward the start of training camp. Werenski has already begun shooting drills and is essentially back to his regular off-season training minus taking any contact. While the offensive rearguard is obviously motivated to be ready for the season for his teammates, coaches, and fans, he also admits to Hedger that playing in the teams opener, a road game against the Detroit Red Wings in his home state of Michigan, is an added personal boost. “Suffer now, but I’m going to be able to play in my hometown in front of my family and friends ” has been Werenski’s mantra this summer and so far things seem to be going well. 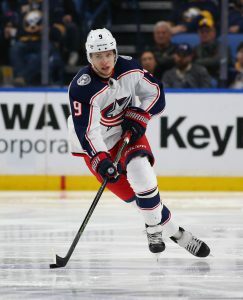 Should Werenski suffer even a small setback that leaves him unable to start the season, the Blue Jackets are less equipped to deal with his absence than they would have been last year. With Jack Johnson, Ian Cole, and even others like Taylor Chorney now gone via free agency, Columbus is relatively thin on the blue line after their superstar young pairing of Werenski and Seth Jones. Ryan Murray or Markus Nutivaara would likely be the replacement on the top pair with Jones while the other skates with David Savard, leaving the Jackets with a bottom pair featuring two of Scott Harrington, Gabriel Carlsson, Dean Kukan or new addition Adam Clendening. Count the Blue Jackets as being right there with Werenski in hopes that he is able to go from day one. The Blue Jackets got a big boost from Dubois who should provide the team with a top center for quite a long time as the 20-year-old had a solid rookie campaign as he posted 20 goals and 48 points. Those numbers should exponentially increase as he gets older, bigger and more comfortable in the league. It wouldn’t be surprising at all to see him develop into a 60-70 point player this year already. And with two years remaining, he will continue to be a bargain for some time. Werenski had a mixed bag of a season as he saw his points totals drop from his rookie season (47 points) to his second season (37 points). Yet his goal totals increased from his rookie season (10) to his sophomore season (16). However, Werenski underwent surgery for a shoulder injury that had been causing him pain since October, suggesting he played injured all season. A fully healthy Werenski could give the team one of the top young defensemen in the league. Milano arrived with much fanfare, but he struggled finding a permanent place in the lineup, as he often received relatively few minutes on the third line due to his struggles on defense. However, Milano showed flashes of scoring ability as the 22-year-old posted 14 goals in 55 games. With a year under his belt, Milano might be able to take those numbers to a much bigger level if he can prove he can play a two-way game for coach John Tortorella. 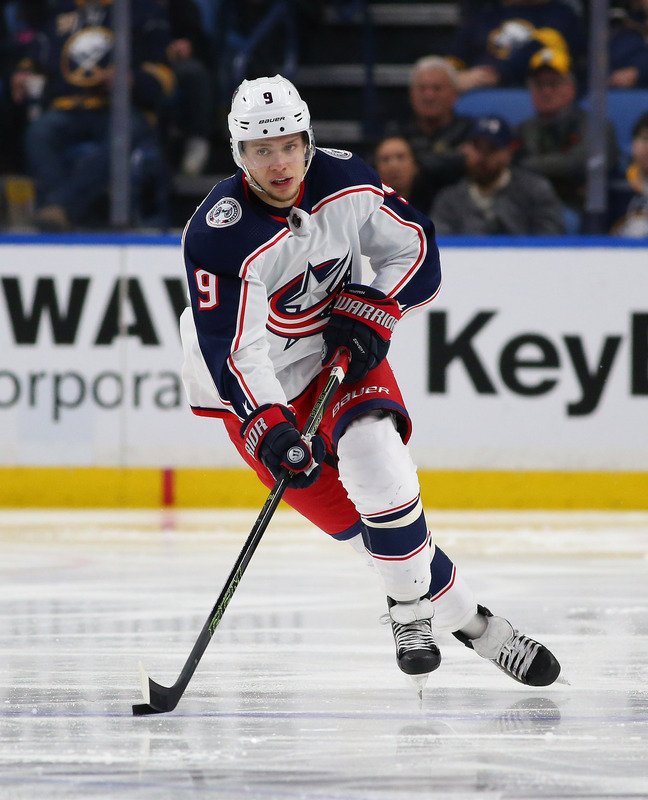 The biggest news all offseason is the fact that Panarin has told Columbus general manager Jarmo Kekalainen says he’s not ready to discuss an extension. Despite the GM’s attempt to speak to Panarin to convince him to stay, it looks like Panarin wants to head elsewhere once his contract expires at the end of the season and he becomes a unrestricted free agent. The 27-year-old winger posted a career-high 82 points after being acquired from the Chicago Blackhawks, but seems to be looking to play in a city with a more diverse market. While there have been rumors that Kekalainen has been looking into trading options, little has come from it. The team may opt to wait until the trade deadline, but that could also lessen the return. Perhaps more concerning is the contract situation with Bobrovsky. The 30-year-old goaltender is also in the final year of his contract. While there is no talk of leaving Columbus, the Blue Jackets have to be somewhat concerned about the veteran goaltender’s asking price. He will be 32 years old when his next contract takes effect, but Bobrovsky wants term, the team could be paying him until he’s 40 years old and it’s extremely likely that the goalie will take less money than the $7.43MM he’s making on this contract. However, that’s a lot of money to be handing out to an aging goaltender. Bobrovsky’s numbers are still good as he posted a 2.42 GAA and an impressive .920 save percentage in 63 games. However, his struggles in the playoffs isn’t working for him either. Regardless, the team could find itself in quite the contract negotiations in the coming summer. With two years remaining on his deal, the team likes what it sees in Anderson, but still hopes to see even more offense. The 24-year-old did collect 19 goals this year, two more goals than his previous season and in 15 less games, so he’s improving. He also has managed to almost cut in half his penalty minutes. However, the team will need to see more offense if he wants to stay on after two years for any significant salary. Kukan, on the other hand, might be ready to take a full-time role with Columbus after the 25-year-old split time between Columbus and Cleveland of the AHL. While many feel that Dubinsky still has some gas left in the tank, it’s looking more and more like his contract could prove to be an anchor to the team’s long-term salary cap success. After posting at least 12 goals and 40 points for the previous four seasons, Dubinsky tallied just six goals and 10 assists and his productivity may be at an end for the 32 year old. Unfortunately, he has three more years at $5.85MM, which are numbers handed to a second-line center, not a fourth-liner. Another poor season could see Columbus try to dump his contract as quickly as possible. Foligno is in a similar boat as he had one of the worst seasons of his career as he posted just 15 goals and 33 points. The 30-year-old also could be in decline unless he can have a bounce-back season. The hard-hitting Savard proved to have a solid season after being separated from long-time partner Jack Johnson, but found his game after being paired with trade deadline acquisition Ian Cole. While his offensive numbers decreased (23 points down to 16 points this year), the 6-foot-2, 227-pound Savard was a solid presence on the blue line and hopefully has a few more years left in the tank. Nash should provide some veteran depth on the team’s bottom-six. Bjorkstrand finally was handed a full-time position with Columbus as he played 82 games last season, but the 23-year-old winger delivered, posting 11 goals and 40 points with the potential to be a breakout candidate. Much of the success of Columbus and its future will fall on the shoulders of Atkinson, who had a breakout season in 2016-17 with 35 goals and 62 points and was rewarded with a seven-year, $41.13MM extension. He responded with a disappointing season as he tallied 24 goals and 46 points in 65 games. He did deal with multiple injuries that may have had an effect on that season, but Atkinson must step up and prove he was worthy of that contract which kicks in this year if Columbus has any chance to take that next step and go deeper into the playoffs. Jenner is another player who has seen his numbers drop significantly after a big season. Jenner posted a 30-goal season back in 2015-16, but has been unable to duplicate that season. The 25-year-old has managed just 31 goals in the past two years combined, but provides much-needed physicality as he has posted more than 200 hits in each of the last four seasons. Wennberg is another center who struggled with injuries all season and had a down year. After posting a 59-point season in 2016-17, he managed just 35 points and found himself playing on the team’s third line for quite a while. However, if he can remain healthy, he could easily work his way back to the team’s No. 2 center position. Jones had a breakout season for the Blue Jackets and could, along with Werenski, be two of the top defensemen in the league. The 23-year-old boasted career highs in goals (16), assists (41) and points (57) and he continues to improve and could find himself to be a Norris Trophy candidate as soon as next year if he keeps up his play. Columbus’ biggest problems are right in front of them and the success of their franchise may come down to Panarin’s situation. If the team trades him, they need to walk away with a solid return, so the team can move forward. Obviously, if Kekalainen can convince him to re-sign with the franchise, that would be the best-case scenario, but the team should look to trade him as soon as possible otherwise they will find themselves in similar situations to that of Erik Karlsson in Ottawa or Max Pacioretty in Montreal, as both of their values continue to shrink daily. With the team’s work with their restricted free agents now complete, Columbus Blue Jackets general manager Jarmo Kekalainen now has time to work on more important projects for the team. The GM’s top priority is to attempt to talk to star Artemi Panarin and try and talk him into signing a long-term deal. Now, NHL.com’s Igor Eronko reports that Kekalainen intends to meet with Panarin in France on Monday. Panarin, who will be an unrestricted free agent next season, could become the headline superstar available to teams like John Tavares was this offseason. The 26-year-old originally signed with the Chicago Blackhawks and was traded a year ago to Columbus to alleviate salary cap issues. He posted excellent numbers with the Blue Jackets in the first season, putting upu 27 goals and a career-high 82 points. He has already stated that he isn’t willing to discuss an extension “as of now,” and it has been suggested by his agent Dan Milstein that the Blue Jackets might be better off trading him now. Kekalainen obviously hopes that he can either convince Panarin to consider signing an extension soon or be convinced that he will have to make a trade to get Panarin to a team that he wants to play for. The Pittsburgh Penguins locked up defenseman Jamie Oleksiak to a three-year, $6.4MM deal a few days ago, but it shows how far the 6-foot-7, 255-pound blueliner has come, according to Jason Mackey of the Pittsburgh Post-Gazette. Unable to break into the Stars’ lineup throughout the first five years of his career, he found himself traded to Pittsburgh where assistant coaches Jacques Martin and Sergei Gonchar altered his entire game like the franchise has done in the last few years with other blueliners such as Justin Schultz, Ian Cole and Chad Ruhwedel. Using film, they have worked on his defensive skills, penalty killing, his shot and his stickhandling to start and have high expectations for him next season. His offense has already started as in 47 games with Pittsburgh he posted four goals and 14 points. Shayna Goldman of The Athletic (subscription required) breaks down the New York Rangers restricted free agency dilemma, especially looking at what to do with defenseman Brady Skjei in regards to giving the blueliner a bridge deal or long-term deal. The scribe looks back to forward Kevin Hayes, also a restricted free agent, who received a two-year bridge deal, but now will cost the team quite a bit of money. Skjei, who is coming off a down year, might be better off with a bridge deal to see what kind of player he becomes over the next two seasons. However, a long-term deal might also be quite beneficial because it would come at a lower cost. Even if he doesn’t become more than a third-pairing defenseman, a low-cost long-term deal has quite a bit of trade value as well. The Colorado Avalanche will be adding some Stanley Cup experience to their blue line next season, as multiple reporters including Elliotte Friedman of Sportsnet expect the team to sign Ian Cole today. The deal will be for three seasons at an average annual value of $4.25MM. The team is also expected to sign Matt Calvert, who will get a three-year deal with an AAV around $2.8MM. Cole, who was a depth defenseman for the Pittsburgh Penguins during their previous Stanley Cup Championships, was traded twice this season before the trade deadline. The Penguins sent him to the Ottawa Senators as part of the Derick Brassard deal, who then flipped him a few days later to the Columbus Blue Jackets for their playoff run. The 29-year-old blueliner fit in well for Columbus as he saw a slight uptick in minutes. In total, he put up five goals and 20 points in 67 games. With Colorado, he’ll continue to be a significant defensive presence in the Avalanche’s top-four and could also prove to be a valuable veteran addition for the eventual addition of 2017 first-rounder Cale Makar, who the team hopes to bring in for the 2019-20 season. As for Calvert, much was expected out of the 28-year-old winger after he put up 11 goals in his rookie season. However, Calvert failed to improve on that mark much as his career high was 13 goals back in the 2014-15 season. Since that year, he’s steadily declined with the Blue Jackets, posting 11 goals, then 10 and finished up last season with just nine goals. He averaged just 13:23 of ATOI last season. With the Avalanche, Calvert should get an opportunity to provide depth and fight for a potential spot on the team’s second or third lines. Ian Cole was traded to the Columbus Blue Jackets this season after being an integral part of the Pittsburgh Penguins two Stanley Cup runs. Leading up until the deadline there were reports of a feud growing between Cole and head coach Mike Sullivan, something that has been brought up afterwards in pieces about a similar power struggle between the Penguins head coach and Phil Kessel. 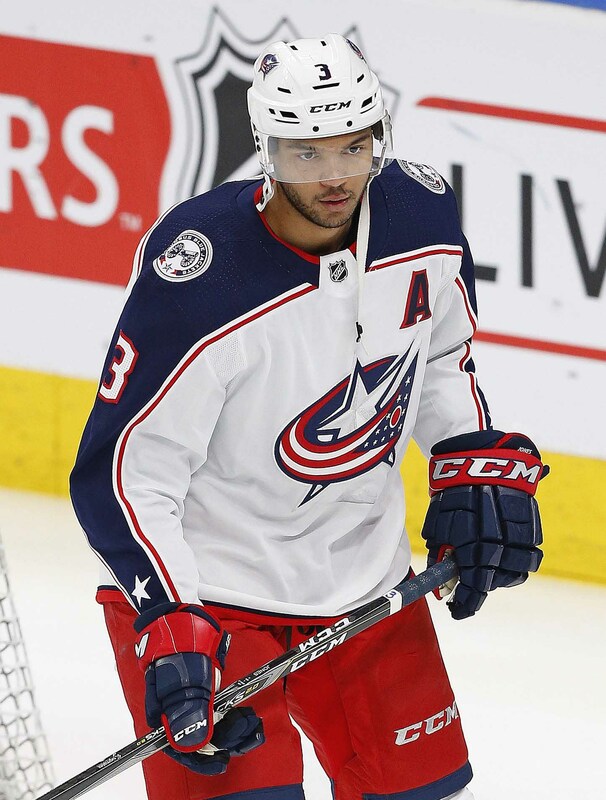 In Columbus, Cole found a home and performed quite well, notching 10 points in 26 games in a Blue Jackets uniform, including three playoff assists in the team’s first-round exit. Cole is an unrestricted free agent this summer, and in Aaron Portzline’s latest piece for The Athletic (subscription required) the 29-year old defenseman admits that he’s open to signing with the Blue Jackets if they can find the right deal. After earning an average of just $2.1MM the last three seasons, Cole should be able to find a raise on the open market if he gets that far. Free agency isn’t flush with defensemen who can potentially play in a team’s top-four, and could be quite lucrative to a player in Cole’s position. That’s if Columbus doesn’t lock him up in the next three weeks. A former teammate of Cole in Pittsburgh will be leaving the organization this summer, as Tom Venesky of The Athletic reports that Tom Sestito will not be re-signing with the Wilkes-Barre/Scranton Penguins. The long-time professional and part-time Penguins forward didn’t get any NHL action this season as the league moves further away from his physical, enforcing type of hockey. It’s not clear where the 30-year old winger will get his next opportunity, but he isn’t leaving with any bad blood. The Montreal Canadiens hold the third-overall selection at this year’s draft, and Eric Engels of Sportsnet examines just how big of a wildcard that makes them over the next three weeks. There are many who believe that Montreal needs to select a defenseman or center at the upcoming draft, something that may be hard to do when wingers like Filip Zadina and Brady Tkachuk are sitting available at the top of the draft. The team certainly has the firepower to make a move on the draft floor, as they currently hold four second-round picks and three fourth-rounders. If the third-overall pick is available for teams looking to move up, there could be any number of teams running over to the Canadiens’ table to speak with Marc Bergevin on June 22nd. Poll: Should Pittsburgh Have Traded For Derick Brassard? With the Eastern Conference Finals set to continue on Monday between the Washington Capitals and the Tampa Bay Lightning, one team that hasn’t been sitting around for the last couple of years is the Pittsburgh Penguins. Entering the playoffs red-hot after a key trade deadline acquistion, many people thought that the two-time defending Stanley Cup champion Penguins might make their third-straight trip to the Stanley Cup. Instead, they were ousted by the Capitals, who are fighting for their life. The Penguins felt they hit the jackpot after making a big three-way trade between the Ottawa Senators and the Vegas Golden Knights to acquire that second-line center they desperately needed in Derick Brassard. While he seemed to be a good fit early during the final part of the regular season when he put up eight points in 14 games, Brassard suffered through an undisclosed “difficult injury,” near the end of the season and struggled throughout the playoffs. He managed just one goal and four points in 12 playoff games. “I don’t know if we ever got there, to the comfort level where we know he’s capable of being the player he is,” said head coach Mike Sullivan following the season. In exchange for Brassard, the Penguins gave up quite a bit to the Ottawa Senators and Vegas Golden Knights, including defenseman Ian Cole (who was subsequently flipped to Columbus), goaltending prospect Filip Gustavsson, enforcer Ryan Reaves, a 2018 first-round pick, a 2019 third-round pick and the Vancouver Canucks’ 2018 fourth-round pick. Cole fit in nicely with Columbus and became a key piece to the Blue Jackets’ defensive core and his gritty play and leadership may have been missed from the Penguins lineup, although defenseman Chad Ruhwedel did a solid job replacing him. While many won’t miss Reaves, his size and leadership also may have been underestimated as he eventually was a key figure in the Vegas Golden Knights’ playoff run, scoring the game-winning goal to clinch the team’s first trip to the Stanley Cup. And while the Penguins are overloaded in prospects, Gustavsson finished his season, came over to the U.S. and already on the Senators’ AHL roster getting valuable playing time. That doesn’t include the picks that the Penguins have given up, not including the fact that Pittsburgh will have drafted in the first round just once in the past six years (and Kasperi Kapanen was traded not long after to Toronto). On a positive note, the Penguins have one more year to show that Brassard was worth the haul they gave up. He still has one more year at $3MM (after Vegas retained some of his salary) suggesting he’s on a very affordable contract. So, did the Penguins make the right decision in trading for Brassard? Trade Rumors app users, click here to vote.